We’ve come to a home for retired police horses. They are all from UK forces but have come here, to a beautiful home in the French countryside. It’s run by the aforementioned retired detective and his wife, daughter and son-in-law. Some of the horses have come here after twenty years of service, and some after just two or three. “Tanya, let me take a photo of you with him,” Mum says. We meet all the horses and hear their stories of brave service. It’s so moving. They have ended up in a wonderful place where they seem content. It’s not just me, the parentals and their friends here. There’s a group of about thirty English people, some with their dogs. In the shop, I see a painting of a running hare. “Do you think Seb will like this?” I ask Mum. Really hope he likes the painting. *2013. By Susan Schreyer. Book 1 in the Thea Campbell murder mystery series. 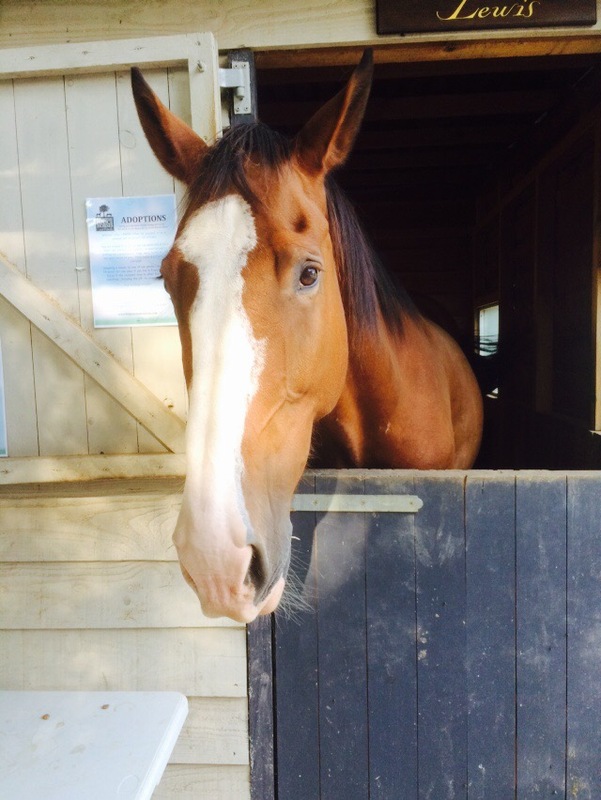 This entry was posted in Uncategorized and tagged #abroad, #boyfriend, #family, #holiday, #love, #presents, #relationships, #travel, gifts, horses, police, policehorses. Bookmark the permalink.